First impressions? This is a pleasant product to use. You only need a tiny bit (I could use one sample three times) to massage into your skin. This serum (which looks like a liquid gel) feels fresh and hydrates my skin. The product gets absorbed by my skin immediately. Three times is of course not enough to make an entire review, but I really liked the overall feeling this product gave me. First impressions? I like this eye cream! Unlike many other eye creams, this one has a slightly thicker consistency. I pat the product underneath and beside my eyes and the skin immediately feels tighter. The skin feels fresh and hydrated and I really like the feeling this eye cream gives me. To buy or not to buy? The price definitely is too steep… about 83 EUR for a 15 ml jar is way over my budget for an eye cream! Such a pity 😦 I would definitely buy it otherwise! First impressions? The smell of this cream is really fresh. I loved it! The cream is very light in consistency and a little goes a long way. My skin feels tighter after using this cream. To buy or not to buy? Again over my budget… I usually buy drugstore or pharmacy products for my skin which are a lot cheaper. So another no I’m afraid. First impressions? I liked using this lightweight cream. It felt comfortable on the skin and my skin felt tighter, more firm and hydrated. To buy or not to buy? This cream is 80 EUR for 50 ml, which is again a bit too expensive in my opinion. But it really seems like a good cream, so if you want to pamper yourself, go for it! Have you tried any of these products before? Let me know your thoughts! PS: here you can read the review of other samples I have tested! How to… pack for your holiday! 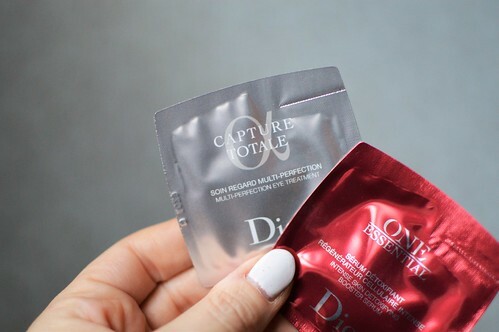 I’m thinking of trying the Dior serum! Skincare is where I tend to invest- my skin is really sensitive and it tends to react to cheaper skincare. Thanks for sharing your review, I’m definitely going to give it a shot!! Im happy to share that lottery win with you haha! 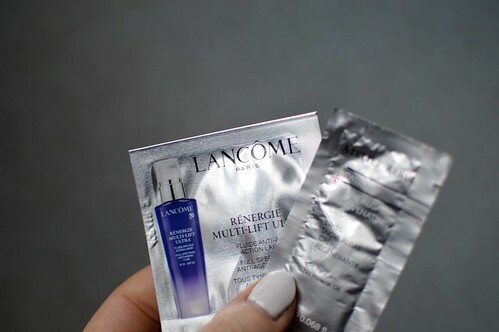 I haven’t tried any of these, but I tried a different Lancôme serum a few months ago. It was lovely, but like you, I’d say out of my price range!